From cheerful crowds of kids singing carols from door to door to yummy dishes and a large number of odd traditions, the Land beyond the forest (yes, this is the translation of the latin name of Transylvania) is a pretty fascinating place to celebrate Christmas. 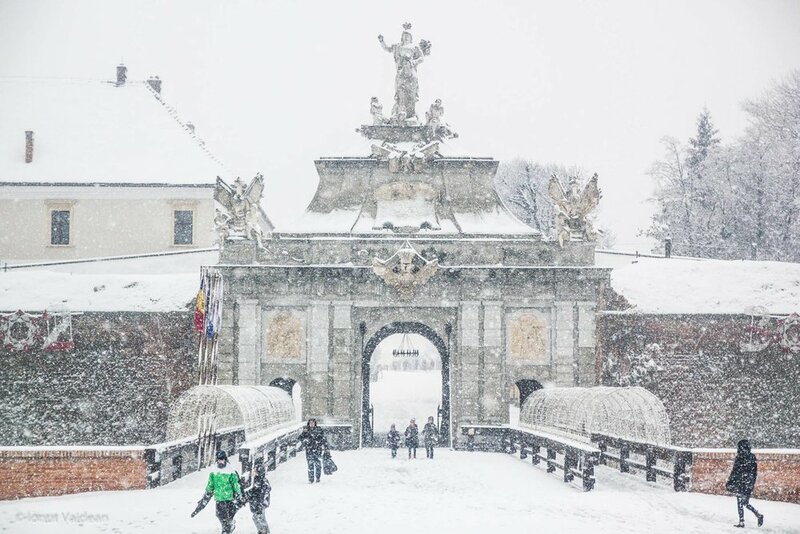 Some of these practices and beliefs are authentic and old as time, others are unusual and borrowed from abroad, but, together, they put Transylvania in a festive mood, offering it a particular identity and a special glamour during the winter festivities. Christmas season in Romania begins with the Nativity Fast (November 15). Continues then with St. Andrew’s Day (November 30), and Saint Nicholas (December 6), when all children receive gifts inside their shoes, shoes they clean and prepare carefully for this occasion. Usualy on Saint Ignatius Day (December 20), Transylvanian families throughout the countryside sacrifice their pig in order to have a rich meal for Christmas and the period after the holidays. But not all of them do this the same day. The right time to accomplish this ritual is between Saint Nicholas and the day before the Christmas Eve (December 24). Even if it’s a cruel Christmas tradition, people keeps it tenaciously. Since we have the world`s second largest diaspora, Christmas became a great opportunity for family members to get together in order to spend some time in the loving and warm atmosphere of their place. Carol singing is also a very popular part of Christmas in Transylvania. On Christmas Eve, children go out singing carols from house to house performing in front of the adults in the houses. The children receive sweets, apples, nuts and traditional cakes. Sometimes they get money as well. Adults go carol singing from Christmas Eve until Christmas Day during all night. Whether religious songs, folklore, or theatrical performances, Transylvanian Christmas carols are marvelous. New Year's Eve is also a very special celebration in Transylvania. Traditionally a small, decorated plough is taken through the streets of the villages on New Year's Eve. It is meant to wish people to have good crops during the next year. On New Year's Day, children are wishing people a Happy New Year while carrying around an unusual bouquet called 'Sorcova'. Traditionally, the Sorcova is made of branches from one or more fruit trees. Nowadays often a single branch of an apple or pear tree is used and it's decorated with flowers made from paper. Christmas is a magical time in Transylvania, even more if it snows and the landscape becomes a delightful natural wallpaper. 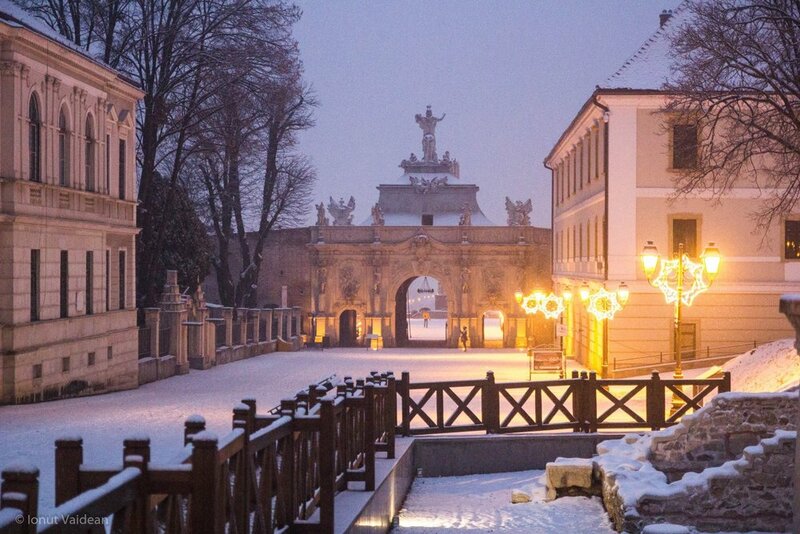 If you are planning a Christmas getaway here, choose Alba Iulia to enjoy the Christmas market where traditions unfold before your eyes, or choose a near village to actually live these local traditions.